Very similar to squid , but can be tougher, and not as readily available as most UK landings are sold to France and Spain. Usually range from 225-500g. Contains the hard white bone often seen in bird cages! Widely prized as food in East Asia and Europe, there are several species of cuttlefish, the most commonly available being Sepia officinalis. 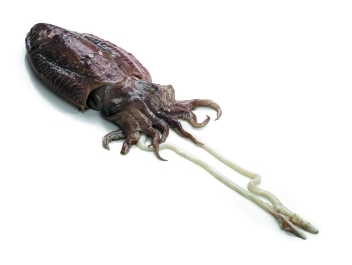 The cuttlefish is particularly popular in Spain, Italy and Portugal, although perhaps under-appreciated in the UK despite being available from our own waters.